State Rep. Carol Alvarado, D-Houston, won the Senate District 6 special election Tuesday, finishing far ahead of a four-candidate field and grabbing a narrow majority of the votes needed to avoid a runoff. She received 50.4 percent of the vote in unofficial returns. It was unclear until the final precincts reported whether Alvarado, who hovered around 50 percent the entire night, would reach enough votes to avoid a runoff. Trailing far behind was state Rep. Ana Hernandez, D-Houston, and Republican Martha Fierro, a precinct chair for the Harris County GOP. They each received less than half Alvarado’s share of the vote in the low-turnout election. Alvarado will face re-election in November 2020 and hold the seat through January 2021, finishing out the term of U.S. Rep.-elect Sylvia Garcia, D-Houston. She resigned Nov. 9, three days after winning the race for Texas’ 29th Congressional District. 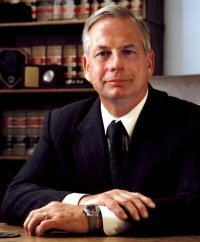 U.S. Rep. Gene Green, D-Houston, did not seek re-election. The tally is here. Alvarado had a majority of the mail ballots, and it was enough to keep her over fifty percent even as the in person votes were slightly under. Had she dipped below 50%, she would have been in a runoff with Rep. Ana Hernandez, but she avoided it. Now we just need to have the special election to fill her to-be-vacated seat in HD145. 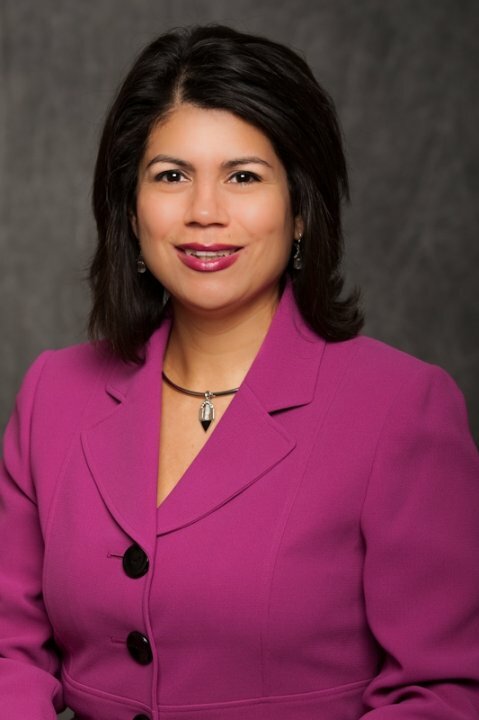 Congratulations and best of luck to Sen.-elect Carol Alvarado. The county is planning for about 20K total votes (remember that some absentee ballots are still coming in), so we’ll see. You can find your Election Day polling location here. Get out there and vote. As expected, there are two candidates who are running a real campaign, and two other candidates. State Reps. Carol Alvarado and Ana Hernandez have raised and spent far more money than the two other candidates seeking to replace Rep.-elect Sylvia Garcia in the Texas Senate, according to filings posted Tuesday by the Texas Ethics Commission. Between the two Houston Democrats, Alvarado has proven the more prolific fundraiser, taking in about $115,000 and spending about $391,000 from Oct. 28 through Dec. 1, the period covered by her latest campaign finance report. During the same period, Hernandez raised about $66,000 and spent about $162,000. The totals place Alvarado and Hernandez well ahead of Republican Martha Fierro, who has raised about $4,000 since Nov. 15, and Mia Mundy, a Democrat who did not report raising or spending any money. Alvarado, who entered the race with a sizable war chest, has been running an ad on cable television, and she says the spot will begin running on network stations in the lead-up to Election Day on Dec. 11. Alvarado’s spending on those ads does not appear to be included in her campaign finance report. For those who missed it, there was a candidate forum for SD06 on Tuesday. As Alvarado and Hernandez have very similar voting records and public positions, the debate included the topic of Alvarado serving in a leadership position under Speaker Joe Straus while Hernandez did not; this was a point of distinction in the Chron’s endorsement of Alvarado. Here’s the EV daily report through Wednesday. There have been 8,350 total ballots cast so far. You still have two days to vote early if you live in the district, so get out there and make your voice heard. The Chron does its thing one more time. Of the four names on the ballot [in the SD06 special election], two stand out as qualified and impressive candidates: state Rep. Carol Alvarado and state Rep. Ana Hernandez. It isn’t a question of policy — the two Democrats seem to agree on practically everything. Both are pro-choice. Both oppose school vouchers. Neither wants to expand the sales tax or implement an income tax to help pay for public schools. The difference is one of strategy. Alvarado, 51, is a former member of Houston City Council and was first elected to District 145 in 2008. Since then she has briskly climbed the leadership ranks and last session was appointed chair of the Urban Affairs Committee. Consider it a sign of the trust that Speaker Joe Straus put in her ability to reach across the aisle and work with Republicans to pass important bills. Notably, in 2015 she authored the grand jury reform bill that was signed by Gov. Greg Abbott. Those talents will be key to a successful tenure in the Texas Senate, which is dominated by Republicans. Hernandez, 40, was first elected to the Legislature in 2005 but hasn’t gained the sort of leadership positions that Alvarado boasts. In meeting with the editorial board, she explained it’s because she refuses to compromise her ideals in pursuit of political ambition. That’s not necessarily a bad thing. 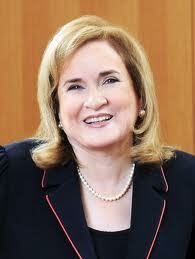 Garcia embodied that model when she was the only senator to oppose the most recent budget. The vote undermined her ability to work with Republicans, but granted her the authority to point out the budget’s various flaws — cuts to education, reliance on higher property taxes — come election season. If Democrats want to grow their political footprint, they’ll need to start heightening the contrast with Republicans and give voters a real choice. But for the sake of constituents’ immediate needs, we believe that Alvarado can do a better job of shaping and passing legislation. Alvarado sent out email over the weekend touting endorsements from the Houston GLBT Political Caucus and the Planned Parenthood Texas Votes as well. She of course has run for this seat before, in the 2012 special election following the death of Mario Gallegos, finishing second behind Sylvia Garcia. You don’t want to put too much weight on these things, as it’s easy to over-interpret them in low-turnout special elections like this, but it’s a decent start for Alvarado. We have a full 12-day early voting period for this election, so if you are in SD06 you have from today through next Friday, December 7, to cast your ballot. Early Voting for the Texas State Senate District 6 Special Election to Fill a Vacancy begins Monday, November 26 and ends Friday, December 7. 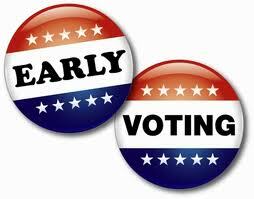 During the twelve day Early Voting period, nine locations will be available to the 330,000 registered voters within the Senate District who want to cast a ballot before Election Day, Tuesday, December 11. “The Harris County Early Voting locations are only available to individuals who are registered to vote in Senate District 6,” said Harris County Clerk Stan Stanart, the Chief Election Officer of the county. For more information about the December 11 State Senate District 6 Special Election to Fill a Vacancy, voters may visit www.HarrisVotes.com or call the Harris County Clerk’s office at 713.755.6965. Voters may also visit the website to determine if they are eligible to vote in an upcoming election or review the list of acceptable forms of identification to vote at the polls. There are four candidates in this race, though really only two that have a chance of winning. Assuming one of those two wins, we’ll then have a special election in her State Rep district. If you’re wondering why this message came from Stan Stanart, remember that his term of office runs through December 31. Any runoff in this race, and any subsequent special election, will be conducted by incoming County Clerk Diane Trautman. Now get out there and vote if you live in SD06. The special election is set for SD06, for December 11. Four candidates have filed for the seat, and early voting begins this Monday, November 26. That’s not a lot of time to hear from the hopefuls, so those of you in SD06 should take advantage of every opportunity to hear them out. One such opportunity is next Wednesday, November 28, one week from today, at non-profit MECA Houston, 1900 Kane Street just northwest of downtown. Here’s the Facebook event for the forum, which will be from 6:30 to 8 PM on the 28th, and here’s a Google map link to the location. Go hear what the candidates have to say, then make sure you go vote. A new Public Policy Polling survey of 589 voters in Texas’s 6th Senate District shows Carol Alvarado leading Ana Hernandez by a 2-1 margin, 38% to 22%. 41% of voters are undecided. Alvarado’s margin is driven by leads among several demographic subsets – she leads 38-22 among women and 38-21 among men. She leads among Democrats 48-24 and among independents 26-17. Alvarado leads among Hispanics 41-28, among whites 27-12, and she leads among African-Americans by a 46-11 margin. Public Policy Polling surveyed 589 voters in Texas’s 6th Senate District from April 9th to 11th, 2018. The margin of error for the survey is +/- 3.7%. The survey was conducted in English and Spanish using automated telephone interviews. This survey was conducted on behalf of the Carol Alvarado Campaign. 1. We still don’t know when this election will be, though right now signs point to “later” rather than “sooner”. 2. There will be other candidates in this race. Even if they’re all no-names, that will skew things. 3. Modeling turnout in special elections is really tricky. Having said all that, feel free to enjoy or complain about this poll as you see fit. Ross Ramsey returned to a frequent topic a few days ago. State Sen. Carlos Uresti, D-San Antonio, was found guilty of 11 felonies earlier this year. He has not yet faced sentencing and says he will appeal the convictions on charges including money laundering and fraud. He’s not required to quit the Senate in the face of that, but it’s safe to say many of his colleagues are eager to see him go. Lt. Gov. Dan Patrick stripped him of his committee assignments, and the Senate Democratic Caucus called on him to quit. The other potential resignation is a happier story: State Sen. Sylvia Garcia, D-Houston, won her party’s nomination to succeed the retiring Gene Green in the U.S. House. It’s a Democratic district, but she’ll face the winner of a Republican primary in November’s election. And in the unlikely event that Garcia were to lose that race, she would still be a state senator; her term in the current job doesn’t end until 2021. Without putting their names to their words, many of Garcia’s colleagues are hoping she’ll quit early, allowing a replacement to be seated before the Legislature convenes in January. The idea is that Garcia’s election to Congress is all but certain and that her timely resignation would position Democrats in the Texas Senate at full strength next year, instead of leaving them waiting on a special election to fill her seat. Or Uresti’s seat, for that matter. A one-seat pickup [in the Senate] would leave the Democrats one vote short of the number needed to force debate. It would also put them in position, if they could hold their own folks together, to block debate by luring one Republican to their side. If the Democrats were to win more than one seat now held by Republicans, the Texas Senate would be back in the position it was in for years — when nobody could get an issue to the floor without brokering enough of a compromise to convince a supermajority that the issue is worth hearing. That’s been used to keep all kinds of things — not all of them partisan, by the way — from coming to the Senate floor for a vote. For a moment, think like one of the swamp creatures; sometimes, it’s safer not to vote on something controversial than it is to take a stand. The three-fifths rule provides a way to either work on a compromise or just walk away without any political bruises. One needn’t agree with that to appreciate its political value. But even a big Democratic day in November could leave crafty Republicans with some breathing room. Two Democratic senators who aren’t on the ballot this year — Sylvia Garcia of Houston and Carlos Uresti of San Antonio — are contemplating resignation. Garcia won the Democratic nomination for a congressional seat in a district unlikely to elect a Republican to Congress. But she said [last] Thursday, in an interview with The Texas Tribune’s Evan Smith, that she won’t resign until after the Nov. 6 election. She said she’s doing that out of consideration for the voters and doesn’t want to presume what they’ll do. If she wins and then resigns, it’ll take a special election to replace her — one that would likely leave her seat in the Senate empty for the early days of the legislative session. Gotta say, I’m disappointed to hear that. I really believed Sen. Garcia would step down in a timely fashion, perhaps after the May 22 primary runoffs, to allow a successor to be in place by January. If she does wait till November to step down, then the Leticia Van de Putte experience kicks in, where the special election is in January and the successor is installed in March; that runoff actually happened in February, but the swearing-in didn’t take place till after the official canvass. As Ramsey goes on to say, even if the Dems have picked up one or more seats, they’d lose the numerical advantage if the Garcia and Uresti seats are empty. So yeah, the timing up front can have a big effect on the back end, and that’s before we take into account the subsequent vacancies that may be caused by the Garcia and Uresti specials. I appreciate Sen. Garcia’s position. It’s honorable and respectful. It’s also completely impractical, and potentially very damaging. I really, really hope she reconsiders. Two weeks ago, I noted an email sent out by Rep. Carol Alvarado containing a long list of current and former elected officials as well as other prominent folks who had endorsed her candidacy for SD06, for when Sen. Sylvia Garcia steps down after being elected in CD29. I assumed at the time that Rep. Alvarado’s main announced rival, Rep. Ana Hernandez, would follow suit with her own list, and so she has. Rep. Hernandez’s list contains more members of the State House, and at least two people that I spotted – HCC Trustees Eva Loredo and Adriana Tamez – who also appear on Alvarado’s list. I’m not sure if that’s an “oops!” or a change of heart, but I’ll leave it to the people involved to sort it out. As I said with Rep. Alvarado’s list, this is a show of strength. I suspect lists like these tend to have a marginal effect on voters – as much as anything, it’s about fundraising ability – but it’s a bad look for you if your opponent, who is also your colleague, has such a list if you don’t have one, so here we are. The combined force of the two lists will act as a barrier to other candidates – not for nothing, but all of the other State Reps whose districts are in SD06 are on one of these lists or the other – though as noted before that’s not an absolute barrier. I’ll say again, this is a tough choice between to very excellent candidates. Twenty-two of the 55 Democratic state representatives on Wednesday endorsed former Dallas County sheriff Lupe Valdez for governor, as Valdez faces Houston entrepreneur Andrew White in a May 22 runoff. The winner of the runoff will be the Democratic nominee who will face Republican incumbent Greg Abbott in the November general election. The endorsements highlighted how both candidates are pushing to raise campaign funds and for endorsements with just less than two months to go before the runoff, in a race that has so far been mostly low-key. The new endorsements include Reps. Roberto Alonzo, Rafael Anchía,Victoria Neave and Toni Rose of Dallas; Diana Arévalo, Diego Bernal, Ina Minarez and Justin Rodriguez of San Antonio; César Blanco, Mary Gonzales and Evelina Ortega of El Paso; Terry Canales of Edinburg; Nicole Collier of Fort Worth; Jessica Farrar and Ron Reynolds of Houston; Ryan Guillen of Rio Grande City; Gina Hinojosa, Celia Israel and Eddie Rodriguez of Austin; Mando Martinez of Weslaco; Sergio Muñoz of Palmview, and Poncho Nevárez of Eagle Pass. Valdez has won the endorsements of the Texas AFL-CIO, Planned Parenthood Texas Votes, Texas Tejano Democrats, Gay & Lesbian Victory Fund, and Stonewall Democrat chapters in Houston, Dallas, Denton, San Antonio, and Austin. 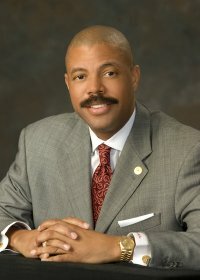 White has been endorsed by the Houston GLBT Political Caucus, former rival Cedric Davis Sr., former lieutenant gubernatorial candidate Michael Cooper as well as the Harris County Young Democrats, the Houston Stonewall Young Democrats and the state’s three largest newspapers, including the Houston Chronicle. I said my piece in the precinct analysis of the Governor’s race. Given what we saw, the runoff is Valdez’s race to lose. Give me some runoff debates, that’s all I ask. Rep. Carol Alvarado has released a long list of supporters for her campaign to succeed Sen. Sylvia Garcia in SD06. This is clearly a show of strength on Alvarado’s part – the list includes the three most recent Mayors of Houston, four of her State House colleagues, Commissioner (and former Sen.) Rodney Ellis, and a bunch of other current and past office holders. One thought that struck me as I read this was a reminder that Alvarado had been the runnerup the last time SD06 came open, losing in a special election runoff to Sen. Garcia. People had a hard choice to make in that election between two very good and well-qualified candidates, and Sen. Garcia emerged victorious. People will once again have a hard choice to make in that election between two very good and well-qualified candidates, and it may be that the bulk of those who are prominent and being public about it are going to Rep. Alvarado. That’s hardly the final word, of course. There are plenty of people not on Rep. Alvarado’s list, and I’m sure Rep. Ana Hernandez will have her own impressive cadre of supporters. In fact, later in the day Rep. Hernandez sent out this fundraiser email that touted Mayor Turner as the special guest. That email references her HD143 campaign, with no mention of SD06, but you can draw your own inferences. Like I said, both she and Rep. Alvarado are strong candidates. Rep. Alvarado’s opening salvo may have the effect of scaring off other potential candidates, but there’s no guarantee of that, as Sen. Garcia herself could testify from CD29. All I’m going to say at this time is the same as what I said the last time we had one of these elections, which is that I’m glad I was redistricted into SD15 so I don’t have to take a side myself. I would like to congratulate State Senator Sylvia Garcia on her hard-earned victory for the Democratic nomination for the 29th District of Texas in the U.S. House of Representatives. Sylvia Garcia is well on her way to becoming the first Latina to represent the 29th District. I am very confident she will be a fighter for us in Washington D.C. and stand up to Donald Trump and fight for the working families of our community. I am proud to have endorsed her and campaigned with her, and I look forward to working with Congresswoman Garcia when she is sworn into office. It is now likely that there will be a vacancy and I am taking this opportunity to formally announce our campaign to become the next Senator from District 6. There’s more, but you get the idea. I am sure this will not be the end of it – Rep. Armando Walle had been briefly in for CD29 when it came open, so I have to assume he’ll take a long look at SD06 as well. We are of course all assuming that Sen. Garcia, who is the nominee for CD29 but not yet officially elected to that position, will step down at some point in the near future, to allow her eventual successor to get elected in time for the 2019 session. I discussed this at some length in November, when Sen. Garcia first jumped in for CD29. I see no reason why Sen. Garcia can’t or shouldn’t step down sooner rather than later – it would be awesome to have the special election to succeed her in either May or November, so everyone can be in place for the opening gavel of 2019 – but the decision is hers to make. What we know now is that people are already gazing at her as we await said decision. KUHF has more. The immunity extends to interim DSHS Commissioner Kirk Cole and State Registrar Geraldine Harris, who are also named as defendants in the suit, Paxton’s office argues. See here and here for the background. This sounds specious, more like an ideological argument than a legal one, and a get-out-of-jail-free card if it’s upheld. But I’m not a lawyer, so what do I know? [Lead plaintiffs’ attorney Jennifer] Harbury said Wednesday afternoon that her team would file a response after reading the state’s motion. The problem appears more widespread than just the families in the lawsuit, she said. That would not surprise me. The Chron and the Observer have more. I’m sure this won’t be contentious at all. For nearly 150 years, the United States, under the 14th Amendment, has recognized people born here as citizens, regardless of whether their parents were citizens. But Texas has other plans. In the last year, the state has refused to issue birth certificates to children who were born in Texas to undocumented parents. In May, four women filed a civil rights lawsuit against the Texas Department of State Health Services alleging constitutional discrimination and interference in the federal government’s authority over immigration. According to the lawsuit, the women who requested birth certificates for their children at the state’s vital statistics offices in Cameron and Hidalgo counties were turned away because of insufficient proof of their identities. State law allows the use of a foreign ID if the mother lacks a Texas driver’s license or a U.S. passport. But employees at the offices, which are run by the Texas Department of State Health Services, told the women they would no longer accept either the matricula consular, which is a photo ID issued by the Mexican Consulate to Mexican nationals living in the U.S., or a foreign passport without a current U.S. visa. Undocumented Central American women are also being turned away because they only have a passport without a U.S. visa. “They are locking out a huge chunk of the undocumented immigrant community,” says Harbury. James Harrington, an attorney with the Texas Civil Rights Project, is also representing the undocumented families. The legal team is seeking a court order to reinstate the use of the matricula consular and foreign passports as valid proof of identity for undocumented mothers. Recently, several parents were denied birth certificates for their U.S. born children by employees at offices administered by the Department of State Health Services, after administrators declined to accept their foreign government forms of identification. This is a major departure from prior practice, as parents had been able to obtain a copy of their child’s birth certificate by providing their passport or a consular ID from their country of national origin in lieu of a US-issued ID. “The legal standing for this prerequisite is questionable. 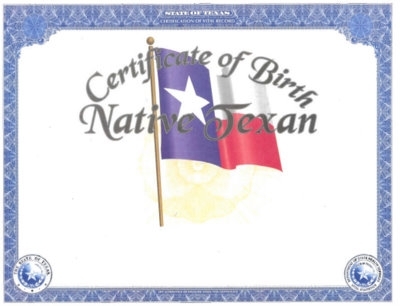 No section under Texas’s Health and Safety Code mandates that the Department require verification of immigrant status or national original before the issuance of a birth certificate to the parents of an American-born child. This practice also runs counter to the 14th Amendment of the United States Constitution, which grants citizenship to all children born in the United States, regardless of whether their parents are citizens. The full statement is here. I’d hope this would spur a quick reversal, but I know better than to expect it. We’ll see what the courts have to say. TPM has more. With a new Texas legislative session underway and incoming state leaders indicating a desire to repeal the Texas Dream Act, supporters of the law are gearing up for a renewed fight to keep it in place. A group of about 60 students, businessmen and legislators gathered on the south steps of the Texas Capitol on Wednesday to voice their support for the act, which allows undocumented students to pay in-state college tuition after graduating from high school if they have lived in Texas for three years and have signed an affidavit promising to seek legal residency. 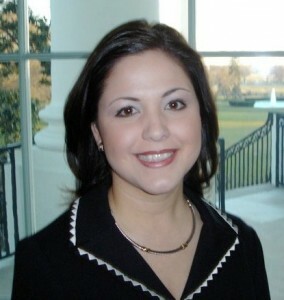 State Rep. Ana Hernandez, D-Houston, a former undocumented immigrant who benefited from the federal Immigration Reform and Control Act of 1986, was one of several speakers with a personal connection to the issue. “I know that measures like [the Texas Dream Act] and the Immigration Reform and Control Act of 1986 can change a young adult’s life path, as it did mine,” she said. State Rep. Jonathan Stickland, R-Bedford, has introduced legislation to repeal the Texas Dream Act. Lt. Gov.-elect Dan Patrick said he wants to end the act, and Gov.-elect Greg Abbott has indicated he wouldn’t veto any repeal efforts. Patrick and others have characterized the Dream Act as a reward and incentive for illegal immigration. At Wednesday’s rally, Bill Hammond, the CEO of the Texas Association of Businesses — which endorsed Patrick for lieutenant governor but has opposed him on this issue — spoke about the economic and social impact of the law. Just as a reminder, the Texas DREAM Act was passed in 2001 with near-unanimous support in both chambers. Times may or may not have changed, but the Republican Party sure has. As for Hammond, he and and his group are going to spend a lot of time fighting the candidates they endorsed on multiple issues. You’d think they’d eventually get tired of that, but I guess a corollary to the definition of insanity is that you believe that this time you really will get a different outcome. (The same problem exists in Congress, too, but, well, you know.) This session is going to be all about what the Republicans want to do, and what (if anything) anyone can do to stop them. Sure hope you kept your receipts on these guys, Bill. Stace, the Observer, the DMN, and Texas Politics have more. More hearings like this, please. The Texas Department of State Health Services got an earful today from lawmakers and women’s health advocates at a public meeting in Austin to discuss proposed rules for the Texas Women’s Health Program — specifically, the state’s plan to sacrifice 90 percent of federal funding for the program in order to exclude Planned Parenthood and prevent participating physicians from discussing abortion in any capacity with patients. “Try to get the politics out of the way and do what’s best for Texas women,” said Rep. Donna Howard, D-Austin, before an eruption of applause from the audience. She emphasized a point reiterated by others testifying at the hearing: that the Women’s Health Program provides cancer screenings, birth control and wellness exams for 130,000 low-income women but does not provide abortions. One of the proposed rules for the program states that a participating physician could not “promote elective abortions” by providing “counseling concerning the use of abortion as a method of family planning” — even outside the scope of the Women’s Health Program. Physician groups, including the Texas Medical Association, the Texas Association of Obstetricians and Gynecologists and the Texas Academy of Family Physicians, oppose the proposed rule, arguing it will put a “gag order” on physicians that could interfere with patient-physician relationships. “We strongly oppose any interference into a physician’s ability to use his or her medical judgment as to the information that is in the best interest of his or her patient,” the groups wrote in a letter to DSHS. 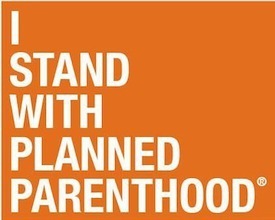 Although Planned Parenthood clinics account for less than 2 percent of the providers participating in the program, 45 percent of women participating in the program chose to receive care at Planned Parenthood. Opponents of the state’s decision to knock Planned Parenthood and other providers out of the WHP worry the state will not be able to provide an adequate health network. But the state and proponents of the reformed Texas Women’s Health Program say that won’t be a problem, as Planned Parenthood clinics make up a small portion of the 2,500 providers enrolled in the program. What a silly argument that is. As we have discussed, the vast majority of existing providers in the WHP served at most ten clients. Claiming that the loss of Planned Parenthood will cause no disruption in service to the WHP patients is like saying there would be no disruption in the smarphone market if Apple were to disappear because hey, they’re just one manufacturer. You can find that letter to the DSHS here, and for more see State Rep. Ana Hernandez Luna’s op-ed in the Chron, and this letter from Senate Democrats to outgoing HHSC Chair Tom Suehs. Catching up on something from before last week’s runoffs, there’s a new PAC in town with some big ideas for the future. The PAC will concentrate on supporting Hispanic candidates for the Texas Legislature, engaging Hispanic voters and mobilizing them in districts where they can make a difference in an election’s outcome, Martinez Fischer told The Associated Press. The group’s strategy of directly engaging voters sets it apart from other advocacy groups, he added. “I want to talk to people because I believe if they understand what we stand for, they will realize there are people fighting for them,” said Martinez Fischer, chairman of the Mexican-American Legislative Caucus in the Texas Legislature. Non-Hispanic whites make up less than half of the state’s population, and Hispanics are the fastest growing group in Texas. Both Democrats and Republicans are trying to recruit more Hispanics into their ranks, but Hispanic voters here go to the polls in small numbers compared to their population’s size and compared to other states. For example, eligible Hispanic voters in Texas turnout at half the rate of Hispanics in California. Martinez Fisher said the new PAC hopes to get out the Hispanic vote by pointing out the stake they hold in Texas’ future. Demographers expect them to be the majority by 2020. The PAC’s website is here and its Facebook page is here. I had the chance to speak to Reps. Martinez Fischer, Hernandez Luna, and Armando Walle about this, and the main idea I got from them is that this is about addressing the infrastructure needs of a state with a young and growing population whose current leaders aren’t doing a damn thing about them. Martinez Fischer goes into some detail in this Rio Grande Guardian story. Martinez Fischer is a Democrat from San Antonio who has served six terms in the Texas House. He said he and his colleagues formed One Texas PAC because Texas needs to move on from the politics of mañana that permeates the state Capitol in Austin. “All of our problems, whether it is water, energy, transportation, education, public health… you get to the floor of the House in Austin, Texas, and the Republicans say, yeah, we will deal with that mañana. Mañana is the busiest day of the week in Austin, Texas. You never get to it. That is why One Texas is around and why we are going to change things,” he explained. At a news conference held in McAllen on Friday, Martinez Fischer looked ahead to the time One Texas PAC’s goal is achieved. “When we are one Texas we are not going to have the disparity in education and health care that we have today in our state,” he said. Martinez Fischer said the new PAC will use its funds to help tomorrow’s Latino leaders win election to public office. He said the PAC will also put out position papers on issues such as transportation, water, and energy to kick start a public policy conversation that currently does not exist in the highest echelons of state government. Martinez Fischer noted that historically, Latino leaders have focused on civil rights, education and health care. He said new Latino leaders must also tackle transportation, water and energy issues because it is increasingly going to be Latino households that provide the taxes to fund the state’s infrastructure needs. What I like about this approach is that it’s not just about trying to win the next election, it’s about looking beyond that at the issues that are important now and will become crises if we don’t start addressing them now. It’s about understanding these issues and supporting leaders who understand them and want to engage the public in trying to solve them. Hey, someone’s got to do it. One Texas PAC has already met its initial goal of raising $100K – they may be policy-oriented but they’re still a PAC, and you have to win elections to affect policy – mostly with the support of incumbent House members. They’re continuing their push, and they’re worth your support. Check ’em out. Last week, Robert Miller mentioned that there was talk that former County Commissioner Sylvia Garcia might challenge Sen. Mario Gallegos in the 2012 primary. PDiddie expanded on that, and the chatter eventually led to a denial from both politicians via their shared consultant, Dan McClung; Campos pooh-poohed the denial. So basically, believe what and who you want about this. If it’s going to happen, we’ll know soon enough. What I know is that I’ve been redistricted out of SD06, so if it does come to pass, I won’t be forced to pick a side between two people I like. Sen. Gallegos has done a lot of good representing this district; he’s certainly voted as I would want him to most of the time. I have no doubt that Garcia would also do an excellent job if she were to be elected. Having said that, let me say this: Whether by his choice or not, if it is time for new blood in SD06, what I would prefer to see is some actual new blood. There are four young, talented, and (I hope) ambitious State Reps whose districts include parts of SD06: Jessica Farrar, Carol Alvarado, Ana Hernandez Luna, and Armando Walle. 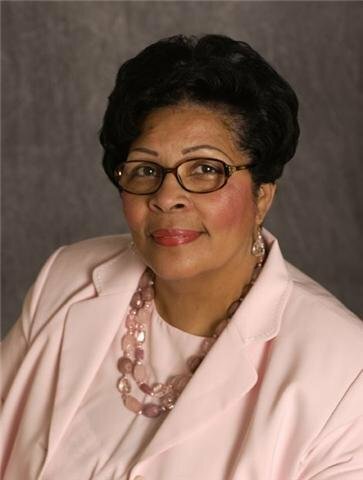 Farrar is now a senior member of the House – she was the Democratic Caucus Chair this past session and did a fine job under terrible circumstances – which is a good argument for her to stay put, but the others have no such constraint. If there’s going to be a change in SD06, this is where I’d go looking for it. Again, I mean no disrespect at all to Sen. Gallegos, who as far as I know isn’t going anywhere, or Sylvia Garcia, who was an outstanding member of Commissioners Court and who I still think would make a great Harris County Tax Assessor. I just see this as a logical extension of the case for Joaquin Castro in CD35. I’ve yet to hear a single Democrat in Texas tell me lately that we’re doing just fine with what we’re doing now. Well, if change is what we want then a key aspect of that is to make way for the next generation of leaders. Sen. Mario Gallegos isn’t going to run statewide for anything, but Sen. Walle or Sen. Hernandez Luna or Sen. Alvarado might. Hell, if one of them were to succeed Sen. Gallegos in 2012, I’d start beating the drum for them as a statewide possibility in 2014. If we’re not thinking about this sort of thing, we’re setting ourselves up for failure in the future. Nobody knows when Texas is going to turn blue. I think it’ll happen this decade, but beyond that it’s a straight up guess. There are a number of factors that will affect that, and one of them is the quality of the candidates we put on the ballot going forward. If there’s an opportunity to upgrade our bench, we need to take it. What exactly do we have to lose? State Rep. Ana Hernandez Luna stood before the House on the afternoon of May 9, hours after lawmakers passed the controversial “sanctuary city” bill, and started reading from a prepared statement, her eyes downcast. “I know House Bill 12 already passed, and in the long run there is nothing that could have been done about its passage,” she said. But still, she said, she had something to say. And then, in a halting and teary speech, Hernandez Luna, D-Houston, described what life is like as an illegal immigrant. She knows, she said, because she lived it. With her roughly five-minute speech, the 32-year-old lawyer and lawmaker did what some would consider crazy in the current political climate. She tried to put a human face – her own face – on the illegal immigration issue. By the way, the “sanctuary cities” bill has been refiled for the special session, though as yet it’s not on the call. Two things to add to the Chron story: One, despite what it says I hope Rep. Hernandez Luna does have aspirations for higher office some day. There’s never enough people like her in office at any level. And two, screw Debbie Riddle and her condescension. A hundred years ago, Riddle’s spiritual ancestors were arguing that we had to “defend the borders” against the menace of too many Italian and Irish immigrants. Same crap, different century. It was wrong then and it’s wrong now. This Irish Italian stands with Rep. Hernandez Luna. I suppose we should get used to the phrase “cutting off debate” because that seems to be the norm these days. After taking the unusual and controversial strategy of cutting off debate, the Texas House late Monday voted 99 to 47 in favor of a ban on “sanctuary cities,” despite objections that the measure was unnecessary and will increase racial profiling against Hispanics. House Republicans voted to end debate by calling for an immediate vote on the bill, shutting down debate on amendments after four hours of sometimes heated discussion. Democrats roundly criticized the tactic almost as emotionally as the underlying legislation, and faulted House Speaker Joe Straus for allowing the maneuver. It’s just that, as Burka pointed out, they’ve taken their sweet time about it, and the combination of a few successful points of order, a late-in-the-day “emergency” tort reform bill, and the need to deal with remaining items like redistricting have put them in a bind. As Pete Gallego noted, calling the question like this hardly ever happened in previous sessions under other Speakers, but now seems to be a matter of routine. It’s hard to see this as anything but a deep sense of insecurity about the ability to pass their own agenda in the face of any kind of opposition. The Republicans did allow some debate and amendments before passing the bill on third reading, not that it really mattered at that point. As for the bill itself, what else is there to say? It’s an offensive solution to a non-problem, one that will impose large unfunded costs on local law enforcement agencies and which makes a mockery of the alleged Republican value of local control. It’s evil and fascistic for the federal government to tell states what to do, but good and just for states to tell cities what to do. What should happen as a result of this is that police departments decide that in order to fully comply with the law they need to ask everyone for proof of citizenship whenever they pull them over for a traffic stop or whatever. How many of the people cheering on this bill’s passage routinely carry their passport or birth certificate – the long form, naturally – on them? That won’t happen, of course, because it’s “obvious” that some people are citizens, and hey, this is America, right? More for some of us than for others, I guess. Statements from Reps. Carol Alvarado, Jessica Farrar, and Garnet Coleman are beneath the fold, and there’s more from EoW, Burka and Burka again, Trail Blazers, Postcards, Texas Politics, and the Trib. Be sure to read the exceptionally ugly comments there if you have any doubt about how supporters of this bill perceive it. And then, to cleanse your mind, watch Rep. Ana Hernandez Luna’s personal privilege speech about growing up as an undocumented immigrant (thanks to Texas Politics for the link). If you think the country and the state would be better off today if Rep. Hernandez Luna and her family had been deported, I don’t know what to say to you. Still 24 districts, with either Rep. Scott Hochberg or Rep. Hubert Vo on the outside looking in. 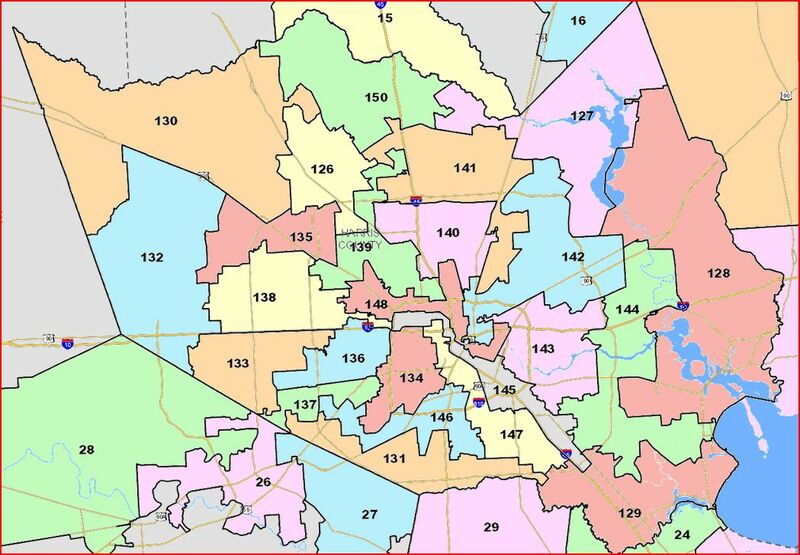 In this variation, HD143 goes back to being an East End seat, and HD148 regains some of its old territory in the Heights, but my part of the Heights gets moved into HD145, which would make me a constituent of Rep. Carol Alvarado. As with Rep. Ana Hernandez Luna, I would be delighted to be her constituent, but heartbroken not to be Rep. Jessica Farrar’s constituent. HD134 gains a little more outside the Loop territory, but most of the districts on the west side look not too different than they were before. Beyond Harris County, the only thing I looked for was the weird uterus-shaped HD149 that surrounds and passed through Williamson County. It’s still there. You’ve got to be a little desperate to maintain Republican hegemony if you’re drawing districts like that. That one has 25 seats in Harris County, so Reps. Hochberg and Vo can remain. It also puts me back into HD148, which just feels right. And as we turn our eyes to Williamson County, we see no uterine districts. All of which means that this map won’t be given a moment’s thought. With regards to Rep. Hochberg, I note that someone has been whispering into Burka‘s ear. I haven’t discussed Hochberg’s plans with him, but I did hear from sources close to Sarah Davis that she expects Hochberg to move into her district and run against her. I don’t know who his sources are and I don’t know who his sources’ sources are, but I do know that I have not heard anything like this from Democrats as yet. In fact, the reaction many of us had was that it was Rep. Vo who’d gotten the short end of the stick, since the HD137 drawn (in the original map, anyway; I can’t vouch for the revised map just yet) has more of Hochberg’s precincts in it than Vo’s. I personally thought Vo might be better off running against Rep. Jim Murphy in HD133, since as noted before it might be viable for him. Burka’s sources may be right and they may be wrong, I’m just saying that I’m not hearing the same buzz that he is. Finally, a couple of stories from the Monitor and the Guardian about redistricting in South Texas and the disposition of Hidalgo County. I figure they wind up getting shafted again, which is to say business as usual. 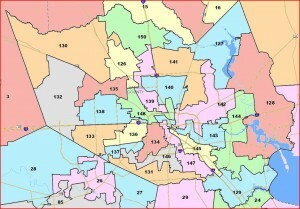 The Texas House Committee on Redistricting has re-drawn the district lines of the State Representatives and filed the plan as HB150. District 149 which is Hubert Vo’s district has been eliminated. Many of the precincts in his district have been moved to other districts which breaks up the voting strength of all ethnicities including the Vietnamese. The only 3 current Vo precincts left after they move the others are combined with District 137.
Letters should be sent as soon as possible to the redistricting committee. We have attached two sample letters to email or fax – one is for you to use if you live in District 149 and the other should be sent if you live somewhere else. These letters will be used for the committee and also will be sent to the Department of Justice (DOJ) where the redistricting map must be approved . Sample letters were included. You can see them here and here. HD149 is the odd district out – it’s a weird barbell district that joins Burnet and Milam Counties via a thin strip of southern Williamson County. Go ahead, take a look at that and then tell me why MALDEF’s CD35 is too ugly to live. 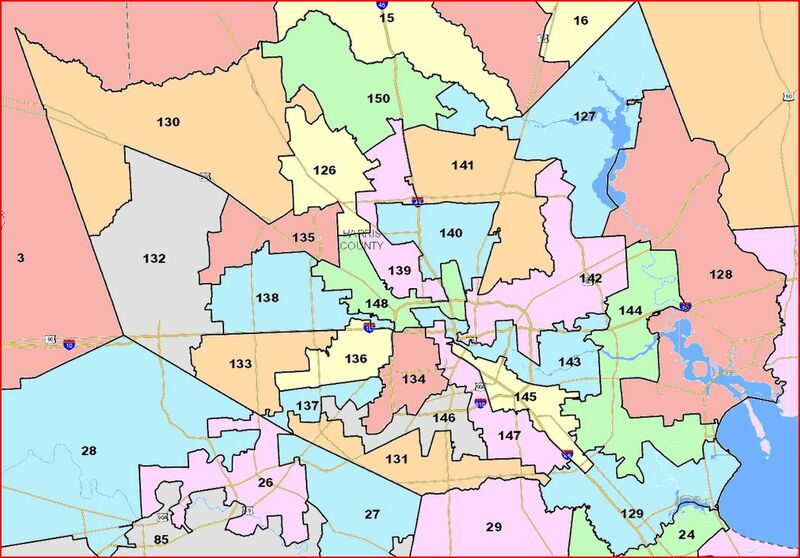 According to the announcement letter from Redistricting Chair Burt Solomons, which you can see on this Trib post, the map pairs Reps. Scott Hochberg and Hubert Vo in Harris County. For what it’s worth, I’ll note that the “Other” population, which usually means “Asian”, is highest for HDs 137 (Hochberg) and 133, the latter being Rep. Jim Murphy’s district. See here for those numbers. Until we see data for previous elections, it’s hard to put it all in context. Note that this was the only Dem-on-Dem pairing – there were five R-on-R pairings elsewhere in the state, all driven by lagging population. Beyond that, I don’t have much to say just yet. These things take time to figure out. 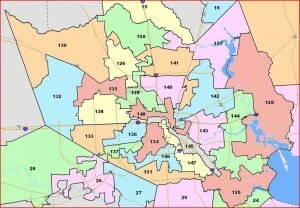 I will note that this map moves me from HD148 to HD143. While I will be delighted to be represented by Rep. Ana Hernandez Luna, I will be equally sad to not be represented by Rep. Jessica Farrar, who has been my voice in Austin since I moved to the Heights in 1997. What do you think about this map? “The redistricting proposal by Chairman Solomons is a starting point, however, I believe there is still work left to do,” said Alvarado. I’d prefer that Harris get 25 as well, but the numbers are what they are. I can’t fault the committee or Rep. Solomons for that. I know Chairman Solomons and the members have worked hard and we all have more steps to take in this process. 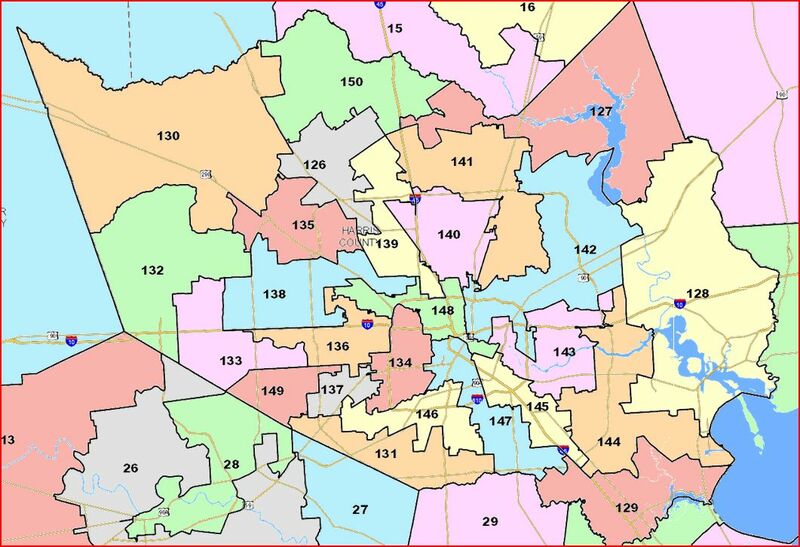 However, I am disappointed that the first Harris County House map produced by the House leadership was devised and designed without the input of many members of the Harris County Delegation. 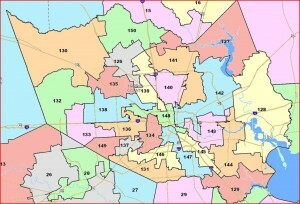 This initial plan only allots Harris County 24 seats, contrary to the original instructions by Chairman Solomons to develop a 25 seat plan for Harris County. Most importantly, Harris County loses representation under this plan because it pairs two incumbents who represent predominantly minority districts, which almost certainly violates the Voting Rights Act. With a month left before this bill must be considered by the House, the public should have an opportunity to demand a fair plan instead of one that includes bizarre districts that can cause voters to lose faith in their government. Unfortunately, hearings on this map are scheduled in less than 48 hours. I intend to work with the House leaders to allow more input from our constituents who will be impacted for 10 years by this process. I’m sure there will be more. UPDATE: Still more, a twofer from PoliTex, from Postcards, and from Burka. UPDATE: Here’s PDiddie, and Greg with the Google Maps view. UPDATE: EoW analyzes that barbell monstrosity HD149. Burka analyzes the Republican pairings and longrer term prospects. Greg gives his take on the WilCo Barbell and has several other maps up besides.